K.M. Joseph And K. Harilal, JJ. K.M. Joseph, J. – Following Questions of law arise for consideration before this Hon’ble Court. “(a) Whether in the facts and circumstances of the case and in law, the Tribunal had erred or not in overlooking the evidence relating to the cost of construction provided by the assessee and accepting the valuation as provided by the Valuation Officer. (b) Whether in the facts and circumstances of the case and in law, the Tribunal could have based the value of construction on the statement of the assessee under Section 132 (4) alone when the assessee had led in evidence on the prevailing cost of construction which stood at a much lesser rate and ought not the Tribunal have accepted the said evidence being material available on record and facts and accepted the same de hors the statement of the assessee under section 132 (4) of the I.T. Act. (c) Whether in the facts and circumstances of the case and in law, the Tribunal had erred or not in disallowing the deprecision claimed on the building under Section 32 as business assets in block assessment proceedings under Section 158 BB by treating the said amounts as undisclosed income as defined under Section 158 B (b). (d) Whether in the facts and circumstances of the case and in law, the Tribunal had erred in holding that the depreciation claimed under Section 32 would be subject to the assessment under Section 158 BB even when the said depreciation was claimed by the assessee in regular assessment for the relevant Assessment Years treating the building as business asset. (e) Whether in the facts and circumstances of the case and in law, when the building is reflected in the Balance Sheet for the relevant Accounting Year and depreciation claimed in regular assessment, could the said aspect be subject to assessment under Section 158 BB at all and is it not a matter to be considered during the course of regular assessment. 2. Appellant is a firm doing business in wholesale pharmaceutical distribution. One Shri. Sebastian Thomas was the holder of power of attorney given by the Partners for operation of the bank account of the firm. There was a search at the business premises as well as at the residence of the Partners on 30.7.1998. Shri. Sebastian Thomas gave a sworn statement wherein he had declared an amount of Rs. 4 Lakhs under Section 132(4) of the Income Tax Act (hereinafter referred to as the Act) towards the unaccounted investment in the building owned by the firm. 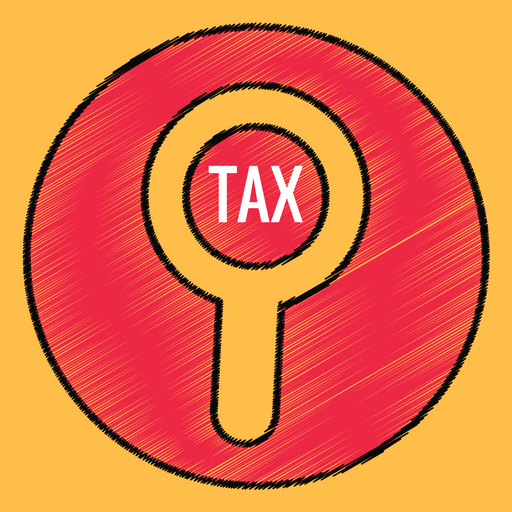 The assessee filed a return pursuant to notice under Section 158BC of the Act. The appellant had constructed a building known as “Thomas Puthur Memorial Bldg”. The accounts revealed the cost of construction as Rs. 6,95,700/- only. Shri. Sebastian Thomas had confirmed that there was a deficiency of Rs. 4,00,000/- in accounting the cost of construction. The matter was referred by the Assessing Officer to the Valuation Officer of the Department. The Executive Engineer (Valuation), Calicut fixed the value at Rs. 11,47,600/-. When this was pointed out to the assessee, it contended that the valuation was based on CPWD rates at Delhi and increased cost was taken. The Assessing Officer not finding any documentary evidence for the lower valuation, took Rs. 4,51,900/- being the difference as liable to be taxed as the undisclosed income for the assessment year 1995-96. Still further, the Assessing Officer noted that the assessee was regularly claiming depreciation on the building owned by the assessee which had been rented out to third parties, noting that depreciation under Section 32 of the Act is allowable only when it is used for the purpose of the business and as it was evident that the building was not used for the purpose of the business, no depreciation could be claimed. Depreciation claimed from 1995-96 to 1998-99 was ordered to be treated as the undisclosed income. There were other findings and assessment made with which we are not to be detained. In appeal by the appellant, the Appellate Authority deleted the addition of Rs. 4,51,900/-. Likewise, the Assessing Officer was directed to delete the amount of depreciation from the total undisclosed income and the same was directed to be considered in the regular assessment. 3. The Revenue appealed the decision of the Appellate Authority. The Revenue’s Appeal was partly allowed. The Tribunal found that the appellant had singularly failed to discharge the burden of proof qua what is claimed by it. This is in regard to the addition made towards the cost of construction of the building. It is found that the Revenue’s case is not only supported by the voluntary statement under Section 132(4) which stands not retracted, but also corroborated by the DVO’s report to which no valid rebuttal has been made by the assessee. But, the Tribunal found it justifiable to restrict the addition towards unexplained investment to building at Rs. 4,00,000/- as declared by the assessee. As far as the second issue, namely the claim of depreciation allowance also was concerned, the Tribunal took note of the words “or any expense, deduction or allowance claimed under this Act which is found to be false” added to the definition of the undisclosed income vide Section 158B(b) of the Act by the Finance Act, 2002 with effect from 01/7/1995 which clinched the issue against the assessee. The Tribunal found that Chapter 14B provides separate procedure for assessment of any income revealed by search or requisition. It is against the said order of the Tribunal that the appellant is before us. 4. We heard the learned counsel for the appellant and the learned counsel for the Revenue. 5. Learned counsel for the appellant would submit that there is no basis for making the addition of Rs. 4,00,000/- towards cost of construction in proceedings under Chapter 14B of the Act. The Assessing Officer and the Tribunal have relied on estimation made by the Valuation Officer. The valuation was unacceptable. As far as the question of depreciation is concerned, he would submit that there is no basis for overturning the order of the Appellate Authority. More importantly, it is submitted that under the provisions relied on by the Tribunal, it has to be found that the claim made by the assessee was false. In this case, it is submitted that there is no finding that the claim made by the assessee was false. It is submitted that the use of the word “false” would necessarily bring in the requirement of the element of mens rea and as long as the assessee is not attributed with any criminal intent, the disallowance of the depreciation in block assessment and what is more exposing the assessee to possible penal provisions, is clearly impermissible. “10. A statute is a creature of the legislature. Every statute has its preamble, it has objects and reasons for which it was enacted. To find out the correct meaning of a particular provision of the statute, it is the duty of the Court of law to examine not only the words of the said provision, but also the background in which such law is enacted. Every statute must be given a logical meaning and harmonious construction. The words used in the statute are not used for nothing. Each and every word has its significance. It is a duty of the judiciary to interpret the same for its implementation as and when they are approached. 12. Now the question comes what does this Explanation mean. Clause (a) of the Explanation makes it clear that the block assessment is in addition to the regular assessment in respect of each previous year included in the block period; (b) means total undisclosed income relating to the block period cannot be tagged with regular assessment; (c) states that the income under Chapter XIV-B, i.e., block assessment shall not be included in regular assessment and other than undisclosed income is assessable in regular assessment under S.143(3) of the Act. However, we notice that the Court pronounced the judgment on 19.02.2001. It is by Finance Act 2002, no doubt with retrospective effect from 01.7.1995 that the definition of “undisclosed income” was added to include any exception, deduction or allowance claimed which is found to be false. The Court had no occasion to consider the effect of the said provision. Therefore, the said decision may not assist the appellant. No doubt, the observation is made in paragraph 12 which we have extracted to the effect that concealment of income and claiming deduction cannot be treated at par as the former is an offence. It is this decision which is principally relied on by the learned counsel for the appellant to contend that there must be a finding that the allowance or expenditure is false. “3. As regards questions Nos.2 and 5 relating to the deletion of accrued interest are concerned, the finding of fact recorded by the Tribunal is that the assessee had purchased the debentures in question in the year 1999 and the same were reflected in the books of account maintained by the assessee. Based on the same, learned counsel for the appellant would submit that the Tribunal has acted illegally in not noting that there was no finding by the Assessing Officer that the assessee had falsely claimed the benefit of depreciation. In other words, apart from there being a finding on the said lines as such, it is necessary to sustain an addition by way of undisclosed income that the depreciation should have been claimed falsely, that is to say, it should have been claimed with the knowledge that it was knowingly and intentionally false. 7. Per contra, learned counsel for the Revenue sought to support the order. He pointed out that as far as the addition of a sum of Rs. 4,00,000/- as sustained by the Tribunal is concerned, the Partner had made the statement that there was a short fall of Rs. 4,00,000/-. No doubt, there was also the report of the Valuation Officer. As far as the undisclosed income in the form of depreciation is concerned, it was pointed out that it was found that it was claimed falsely and that is sufficient. 8. As far as the question relating to reckoning of Rs.4,00,000/- as undisclosed income is concerned, we find there is no merit. As correctly held by the Tribunal, it is supported by the voluntary statement given under Section 132(4). The statement was not retracted. No doubt, corroboration was sought to be drawn from the report of the DVO. The Tribunal has in fact limited the addition strictly on the basis of the statement made by the assessee and not accepted Rs.4,52,000/- which would involve some variations. We would think that in such circumstances, there can be no room for complaint and none of the decisions cited by the appellant can come to its rescue. 9. The second question which arises is whether on finding that the assessee had used the building by way of renting it out and, therefore, the claim for depreciation could not be allowed and, therefore, relying on the definition of the words “undisclosed income”, the said amount claimed as depreciation could be considered as undisclosed income. There is no case for the appellant that the finding that the building was let out, is not correct. Therefore, the building was not used for the purpose of the business of the assessee. Depreciation was, however, claimed by the assessee, even though the building could not be said to have been used for the business of the assessee. Thus, in law, the depreciation could not have been claimed or granted. The case of the appellant is that as held by the Appellate Authority, this is a matter for consideration in the regular assessment and it is not a matter to be considered in the block assessment. Sub-section (3) provides for certain conditions to be fulfilled in the matter of imposing penalty. The words “or any expense, deduction or allowance claimed under the Act which is found to be false” was inserted by the Finance Act, 2002 with retrospective effect from 1.7.1995. No doubt, the Madras High Court has in the decision in TCV Engg. Ltd. (supra) has taken the view that the expenditure claimed therein by the assessee was found by the Assessing Officer to be unreasonable and there was no finding that it was false. It was further found that unless and until the Revenue gives a categorical finding that the whole expenditure of deduction is totally false, the disallowance could not be considered for making the block assessment. We have already referred to the facts. We would think that it may not apply to the facts of the present case. In the case at hand, the appellant claimed depreciation. The depreciation was claimed though the building was being let out. It is not a case where the expenditure was found to be unreasonable, which involves an element of estimation and that, at any rate, the facts are totally dissimilar. In this case, the assessee could not have claimed depreciation when the asset was being let out and not being used for the purpose of the business. It may be true that the Assessing Officer did not use the words that the claim is false. In stead, what is found is that the appellant was regularly claiming depreciation on buildings occupied by the tenants. It is further found that it is evident that the building has not been used for the assessee’s business and no depreciation could be allowed. Permit. The word is not applicable to a story which merely contains some inaccuracies in detail or is somewhat exaggerated (Mountford v. Crofter (1942) S.A.S.R 244). (Industrial and Provident Societies Act 1913 (c. 31). s.10(c). could mean no more than incorrect (English and Scottish Properties Mortgage and Investment Society v. Odhams Press  1 K.B. 440, 458). Stat. Def., Forgery and Counter Feiting Act 1981(c.45), s.9. Def., “False Registration card’ (“means a document which is designed to appear to be a registration card”) s. 26A of the Immigration Act 1971 (c.77), inserted by s. 148 of the Nationality, Immigration and Asylum Act 2002 (c.41). In contrast to these cases, there are others where the word ‘false’ has been used to cover only intentional falsehoods. As stated in Black’s Law Dictionary (p. 722). “In Law, this word usually means something more than untrue; it means something designedly untrue and deceitful, and implied an intention to perpetrate some treachery or fraud. Hatcher v. Dunn.102 Lowa 411=71 NW 343 = 36 LRA 689, Mason v . Association, 18 U.C. C.P. 19; State v. Leonard, 73 Or 451 = 144 P. 113 118 and State v. Smith, 63 Vt.201 = 22A 604. It implies either conscious wrong or culpable negligence, and signifies knowingly, negligently untrue. United State v. Ninety – Nine Diamonds, C.C. A.Minn 139 F 961 = CCA 9 = 2 LRA NS 185. The word ‘ false’ has two distinct and well recognised meanings; (1) intentionally or knowingly or negligently untrue; (2) untrue by mistake or accident, or honestly after the exercise of reasonable care. Metropolitan Life Ins. Co. v. Adams. Mun. App; 37 A 2d. 345, 350. In jurisprudence, “false” and “falsely” are oftenest used to characterize a wrongful or criminal act, such as involves an error or untruth, intentionally or knowingly put forward. A thing is called “false” when it is done, or made with knowledge, actual or constructive, that it is untrue or illegal, or is said to be done falsely when the meaning is that the party is in fault for its error. Fouts v. State 113 Chio St. 450 = 149 Ne 551, 554 and Monahan v. Mutual Life Ins. Co. of New York, 192 Wis 102=212 NW 269. The word “false” in its juristic use implied something more than a mere untruth, Dombroski v. Metropolitan Life Ins. Co., NJL 545 = 19 Ad 2d 678, 680. The word ‘ false’ sometimes connotes an intent to deceive, People v. Wahl 39 Cal. App 771 = 100 P. 2d 550, 551 and Salt’s Textile Mfg. Co. v. Ghent. 107 Conn. 211 = 139 A 694. 695. It will thus be seen that the word “false” may be used in a wider or a narrower sense. In wider sense it will embrace all types of falsehoods whether they be intentional or innocent but in narrower sense it will cover only such falsehoods which are intentional. The question whether in a particular enactment the word “false” is used in a restricted sense or in a wider sense would depend on the context in which it is used. Clause (b) of Section 10 of the Central Sales Tax Act, with which we are concerned, uses the words ” falsely represents” as an ingredient of a criminal offence, for which a penalty of imprisonment which may extent to six months is prescribed. We begin with a presumption that a guilty intent is an essential element of a statutory offence and this presumption is strengthened when the offence is made punishable with a sentence of imprisonment. This presumption can be rebutted by showing that the object of the statute would be defeated unless the language used in the enactment is construed in a wider sense to include otherwise innocent persons; (Nathulal v. State of Madhya Pradesh, AIR 1966 SC 43 at p. 45. The object of Section 10 (b) is to protect the revenue by preventing missue of registration certificates and we do not think that this object would be defeated by constructing the section as embracing the element of mens rea. In most cases, it would not be in doubt that the article purchased under ‘C’ form is not entered in the registration certificate and in such cases it will be easy to infer that the false representation by furnishing the declaration in C form was knowingly or intentionally made. But cases cannot be ruled out where it may be a matter of bona fide dispute whether a particular article purchased by a dealer fell within “the class or classes of goods” specified in his registration certificate. ‘There is a fundamental difference between acceptable tax mitigation and unacceptable tax avoidance. The former are cases in which the tax payer takes advantage of the law to plan his affairs so as to minimise the incidence of tax. “Unacceptable tax avoidance typically involves the creation of complex artificial structures by which, as though by wave of a magic wand the tax-payer conjures out of the air a loss or a gain or expenditure or whatever it may be which otherwise would never have existed. These structures are designed to achieve an adventitious tax benefit for the tax-payer and in truth are no more than raids on the public funds at the expense of the general body of tax-payer and as such are unacceptable. Taxation is the price which we pay for civilization. 13. It is no doubt true that imposition of penalty under Section 271(a) stands on a different footing from penalty under Section 271(c). The use of the word “concealment” has played a large part in persuading the Courts to hold that there must be a deliberate act of omission on the part of the assessee. It has also been held that the order imposing penalty is quasi criminal in nature and thus the burden lies on the Department to establish that the assessee has concealed its income T. Ashok Pai v. CIT  292 ITR 11/161 Taxman 340 (SC). It is also no doubt true that in Govind Impex (P.) Ltd. v. Appropriate Authority Income-tax Deptt. 330 ITR 10/196 Taxman 425/9 taxmann.com 56 (SC) the Court took the view that a penal statute which makes an act a penal offence or imposes a penalty is to be strictly construed and if two views are possible, one favourable to citizens is to be ordinarily preferred. 14. Apparently, no penalty can be imposed under Section 271(c) [Sic. 271(1)(c)] where undisclosed income is determined under Chapter XIV. In fact, the provisions of Section 158BFA is a special provision relating to the power to impose penalty as provided therein. No penalty can be imposed if the return is filed as provided in the Explanation followed by payment of tax and the other conditions are satisfied. Secondly, the levy of penalty is not mandatory. There is the discretion. Penalty may be levied. We are called upon to adopt the narrow meaning of the word “false” and to confine the inclusion of any amount claimed by way of deduction or allowance as undisclosed income, only if the same are claimed with an evil intention or with knowing that it is false. There can be no doubt that widely interpreted the word “false” is capable of taking in intentional and innocent falsehoods. In other words, if widely interpreted, it is capable of bearing the meaning that the claim is untrue on the basis of mistake or accident or it was untue even though care had been taken and the appellant had honestly thought that the claim was sustainable. 15. It is no doubt true that the Legislature has made use of the word “false”. We cannot also be unmindful of the fact that when the claim is found to be false in the wider sense and hence rejected, there is the possibility that the Officer may invoke Section 158BFAand impose penalty. We are of the view that in the facts of this case, the claim for depreciation was made quite without any basis. In view of the amended definition of “undisclosed income” such claim would render it undisclosed income. Merely because it is not in so many words mentioned that the claim is made falsely in the facts of this case it does not mean it is not made falsely. The word “false” in this context need be given only the wide meaning as the direct impact is that amount included will be assessed as undisclosed income. In the facts of this case, where there can be no explanation from the assessee for illegally claiming depreciation, on the admitted facts, there is no need for relegating the matter for regular assessment. The possibility of penalty cannot be a reason to require that it can be treated as undisclosed income only when the claim is found to be made deliberately. In fact, the claim is made as it is clear from the facts without any foundation as the claim was made when the building was let out in which circumstances, there is absolutely no scope for claiming depreciation. In such circumstances, the questions of law are answered against the appellant and the appeal is dismissed as merit less. This entry was posted in Sec. 158B, Sec. 158BB, Sec. 158BFA, Sec. 271(1)(c ), Section 132, Section 32 and tagged 363 ITR, In favour of Revenue, Kerala High Court, penalty u/s 271(1)(c).